Our November meeting took place on Wednesday the 9th, in the usual venue of Lackagh Parish Centre. Our guest s peaker was Leo Finnegan and his topic was “The 1880 Famine – how it affected west of Ireland families and the parish of Williamstown”. The talk concerned how, during the lesser-known famine of 1880, the parish of Williamstown, and by extension, the Rural West in general (since the rest of the country seemed to escape this hardship) suffered during that awful time. There is much local documentation dealing with the problem, and the presentation focused in particular on one family and how this famine affected its members. Leo Finnegan worked as a primary teacher from 1963 to 2004. He has been involved with a number of community organisations over the years, and is currently chair of Williamstown Heritage Society. 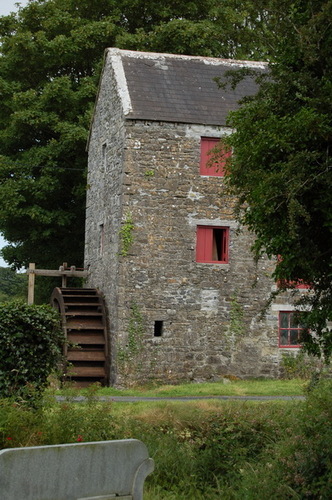 Their flagship projects include the purchase and full restoration of a disused corn mill in the parish, and the publication in 2013 of a voluminous book, dealing with every family in the parish, tracing each one back as far as possible, showing, through maps, the features of each house past and present in its 50 townlands – the book has become a priceless source of information on family histories.